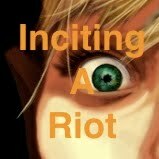 Episode 7 of Inciting A Riot: the podcast. Today's show is all about tolerance, its place in society and in paganism. The word of the day is "tristful." The social segment concerns where tolerance comes from, in-groups and out-groups, and how to teach our children to be tolerant of others. The spiritual segment deals with pagans' intolerance of other pagans and the intolerance we have of other religions, specifically Christianity. The song today is "I'm In Love With a Vampire" by Saving Jane. Search for their music through iTunes, and buy the songs! It's only $1.98! Remember to vote on Podcast Alley, subscribe through iTunes, and send me your thoughts at IncitingARiotPodcast@gmail.com. Another great podcast, although I feel a bit embarrassed because I too have been guilty in the past of lumping all christians together under the same judgement! The real key is recognizing these traits, even though it may put ourselves in a negative light, and adjust our attitudes. Off to adjust myself.... Bright Blessings! Well, I specifically mentioned the targeting of Christians/Christianity, because I think we've all been guilty of it at some point or another. It's a natural reaction when leaving a group you were part of on bad terms. People tend to talk badly about groups they feel hurt by. The point is, like you said, to recognize this behavior, understand where it comes from, and learn from it. Be the change you wish to see in the world. Hey Fire Lyte, sending positive energy and love your way today! I am so excited to listen to today's episode! 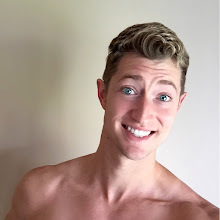 I hope you have a fabulous day and rest of the week! Wow-just finished this new episode and I think this is my favorite episode so far-great job! I love your passion! I also just purchased the vampire songs from Saving Jane-love them! Keep up the awesome work Fire Lyte!